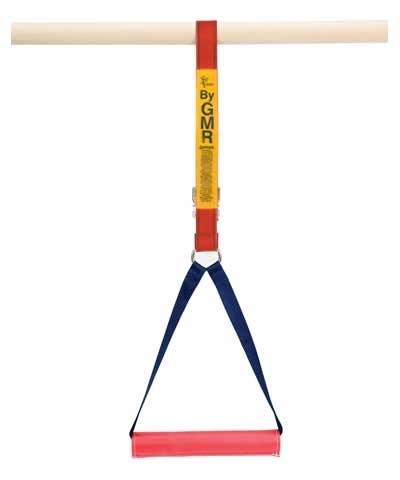 Space Saving Low SBT for low bar work-Not for giant swings.Check out our "SBT Blog" below. 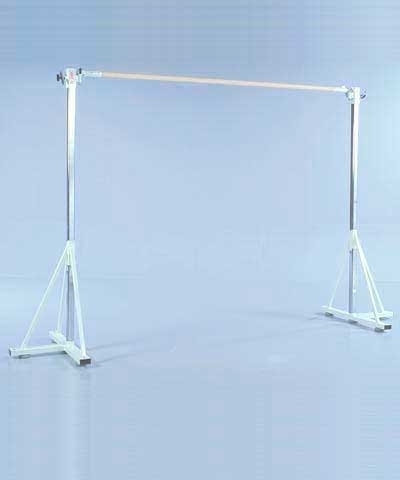 80" Space Saving Low Single Bar Trainer with brace rods and T-base. Rail or bar is adjustable from 42" to 80". 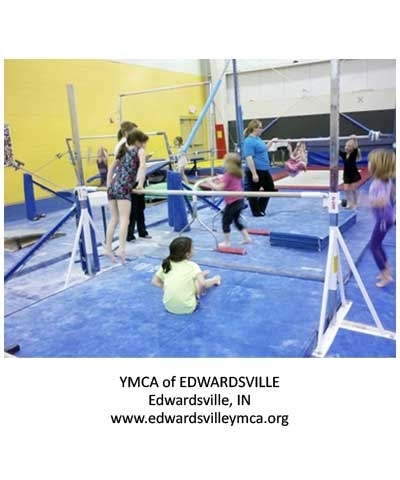 80" is the approximate height of the uneven low bar. 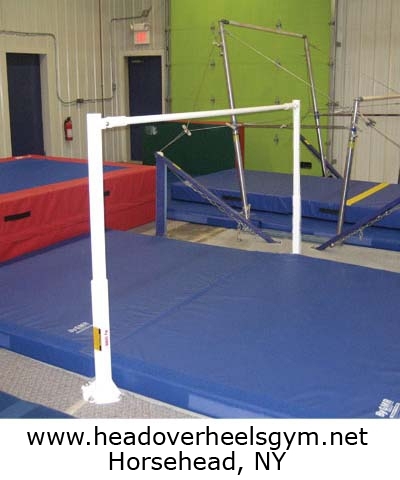 Ideal for all low bar work and some giant work with the smaller gymnast. The inside leg of the T-base is 36" long and the center outside leg is 18" long. Uses only 11' width of floor space. Includes concrete achors. Choose women's rail or men's steel bar. Wall mounted SBT uses 126" width of floor space. Wall mounted SBT must bolt to concrete or cement block wall. 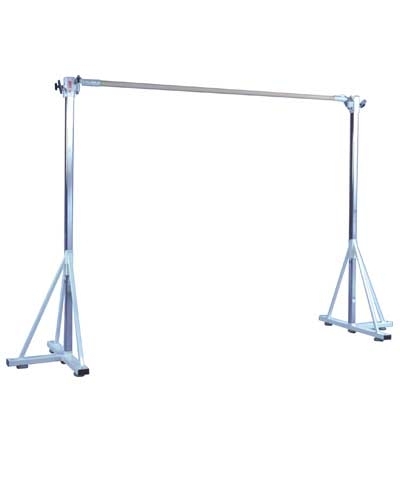 Specify men's, women's or strap bar for wall mount SBT.